With this lamp!! 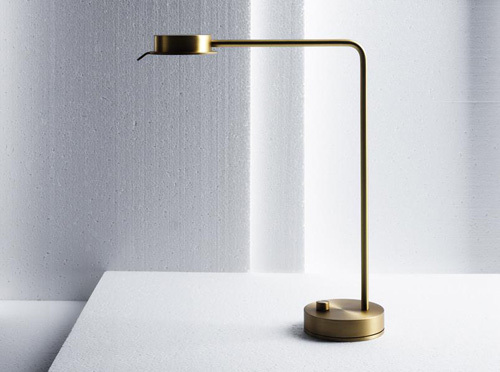 The W102 lamp by by British architect, David Chipperfield, sold at Merchant No.4. I don’t think I can resist it!! Gorgeous. Chipperfield is one of my faves. I want to work there!! You know, this one I don’t like. so sleek this design is ~ i’m in love too!! Meee too! Is it okay to say that a lamp looks classy? Because it does. It looks great, I´d love it in silver too! I love it and it doesn’t look to take up much space, so it would be so nice to keep a bedside table unfussy. Have a wonderful weekend Chantal!